The Law Office Of Daryl L. Kidd, P.C. Family Law & Domestic Relations Issues. Call Today! As a Marietta divorce attorney, Daryl L. Kidd has the right combination of legal intellect and human empathy needed in family law. Contact us today to help resolve your problem. It’s a popular misconception that marriages end in divorce. Our experience has taught us that marriages end long before either spouse files for divorce. Viewed in that light, divorce can be a constructive process that fixes problems for individuals and families, allowing them to restructure their lives in a way that’s better suited to their desires and aspirations. For more than three decades, The Law Offices of Daryl L. Kidd, P.C. 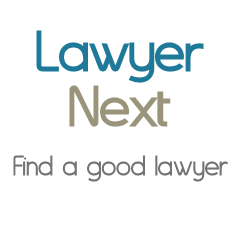 has brought a keen legal intellect and sincere empathy to the practice of family law. Too often, lawyers in Cobb County approach marriage dissolution with an us-versus-them attitude, which can be destructive for families and individuals looking for a fresh start. Instead, Daryl Kidd works with clients to achieve settlement terms and court orders that prove workable over the long term.